The first recorded chiropractic manipulation was in 2650 BC, in China. I only mention it because contrary to some beliefs, chiropractic care is not a new age, new fangled, placebo-esque treatment. Manual manipulation techniques have been used since antiquity. “It is most necessary to know the nature of the spine. One or more vertebrae may or may not go out of place very much and if they do, they are likely to produce serious complications and even death, if not properly adjusted. Many diseases are related to the spine.” Hippocrates, of the Hippocratic oath fame, aka the father of medicine. Circa 150 AD, Claudius Galen alleviated paralysis in the hand of a prominent Roman citizen by careful adjustment to his neck; beginning the rudimentary understanding of the nervous system and healing. Since earliest recorded history, countless people (and animals, who cannot be “placeboed”) have returned to wellness and improved mobility through judicious manipulation of the spine and other joints. So why is this manual medicine so maligned by some doctors? Without getting into an ‘us vs them’ conversation, the allopathic vs alternative/complimentary debate, the short version is: medical schools historically have taught that there is not enough scientific, non-contradictory evidence to support the claim that chiropractic care helps to relieve pain and increase function. Restoring the body to homeostasis through small movements of joints is deemed to be at best ineffectual and at worst dangerous. And it certainly diverts the cash flow. Doctors who challenge the medical establishment’s status quo by delving into complimentary medicine (homeopathy, herbals, etc.) are at risk of being disciplined by their medical association. And yet centuries of anecdotal accounts about chiropractic treatment would convince us otherwise. No doubt you can think of a few instances yourself. I know without bodywork/chiropractic care, I’d be barely mobile after significant back injuries over the years. And working with animals, I’ve seen well over a thousand individual horses and dogs move more comfortably and freely after bodywork sessions. Things are changing. Here in British Columbia, Canada, there are a number of veterinarians who have studied chiropractic medicine, and likewise human chiropractors who are further educated in working with animals. Clearly these are people who recognize the effectiveness of the modality. There’s also the bodyworker option; an animal bodyworker will work with soft tissue and depending on their schooling, may do structural alignment. They should be highly aware of the limits of their education and quick to recommend a vet (or vet chiro) if the animal presents with symptoms beyond their scope of training. I’m a bodyworker specifically trained in structural alignment, as well as massage, acupressure, and other soft tissue and energy work modalities. I’m writing this from a bodyworker’s perspective. Every day I see the improvements in wellness with hands-on sessions. This must be said and repeated: chiropractic care and bodywork are complimentary healthcare – not meant as a replacement for veterinary medicine. It cannot be stressed enough to call your vet if you suspect your horse might be having an urgent medical problem, acute, significant lameness or injuries, acute neurologic conditions, fever, colic, or other medical disorders – always seek care from your primary veterinarian first. If you work with a veterinarian chiropractor they can diagnose, prescribe, perform surgery, refer and adjust – the full meal deal. A bodyworker will focus on alleviating spasms, scars, adhesions and various soft tissue issues, improve range of motion and circulation via massage, acupressure and other methods, including in some cases, structural alignment. So how do you find a good one? And what do you look for? The number of veterinarian chiropractors is still relatively limited, and most travel. The quickest method would be to Google for practitioners in your area. 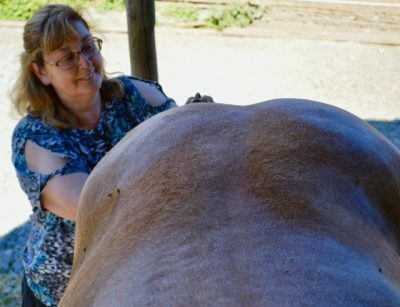 For bodyworkers there are many more options and variability in skills; ask your breeder, trainer, coach or farrier who they use or might recommend. Ask at the tack or feed store. With social media, a common approach is to ask the question in a horse forum, such as Facebook’s BC Horses and Tack (for British Columbia). Be prepared to delve into a huge number of suggestions, but you’ll usually find the same names repeated as people discuss their favorites. Be aware – the best advertising doesn’t make the best bodyworker. In this field, word of mouth is how business is built. You should expect professionalism and genuine caring about your horse. If you see something happening that you don’t understand, ask for clarification. A good bodyworker should be able to explain what they are doing and why. And watch the horse’s response; are there signs of relief, lips/chin twitching, worry wrinkles softening, head lowering, blinking, sighing, licking/chewing, yawning? Can you see muscle spasms soften? Is there a change in the horse’s symmetry, posture or movement? Does the bodyworker talk you through exactly what they are feeling and doing? Do they point out areas of concern? Do they make suggestions for homework that you can do to help between sessions? One codicil – often horses in pain are anxious and can be reactive about a session, especially if it’s the first visit or so. 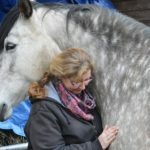 Generally we want to see the horse love every moment, but the truth is, some therapy can be uncomfortable. We’ve all experienced tender areas in our bodies that create adverse reactions when prodded. 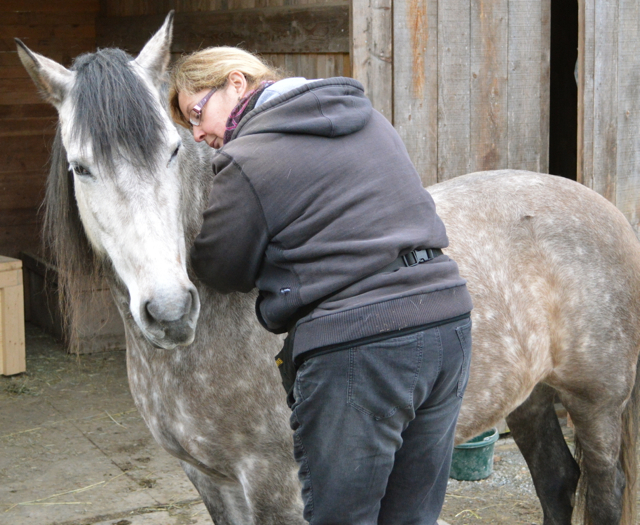 Your bodyworker may be getting into areas that the horse wants to protect and they don’t yet understand that they will feel better if they allow it, unlike human patients who seek out care and understand the process. I’ve seen horses that come with huge warnings about violent reactions melt, and the sweetest of sweet threaten. I’ve seen horses where you can’t imagine how they are coping, just accept the entire process without complaint, and I’ve met those who can barely stand to have their hair moved. Each animal is a unique individual with their own body issues and concerns. 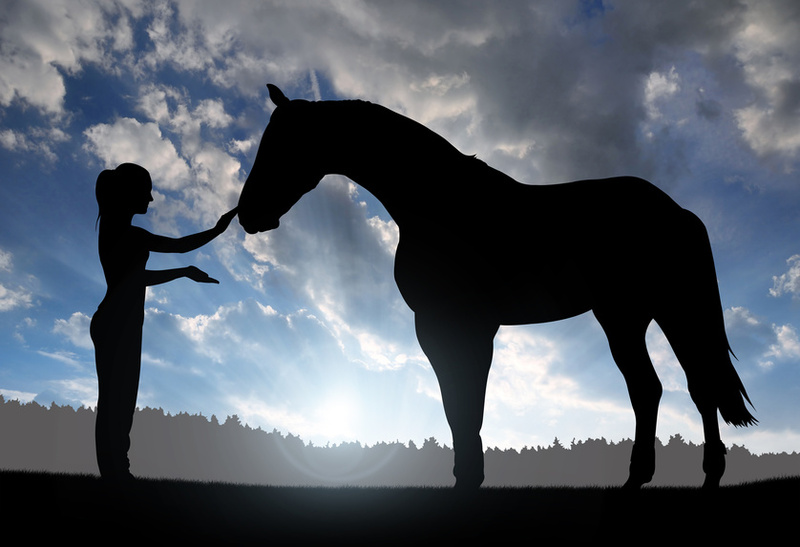 Listening to your horse is always a huge piece, but listen with an open heart and careful judgement, both for the practitioner and in reading the horse’s response. Glad there were some helpful ideas in the article; I know it can be difficult to get practitioners out to some communities. If we can get things synced up, I’d love to see what I can do to help. We have a wonderful vet that went to specialized schooling for chiropractic and acupuncture that comes to our barn in Pleasanton, CA. It makes a huge difference in our horses. They work hard carrying us amateurs around over jumps, they do stupid things like casting themselves etc. We had one that just arrived from Europe and you could tell he was just sore. He wasn’t quite sure when she started working on him, but after she adjusted his neck he started licking her as if thanking her.